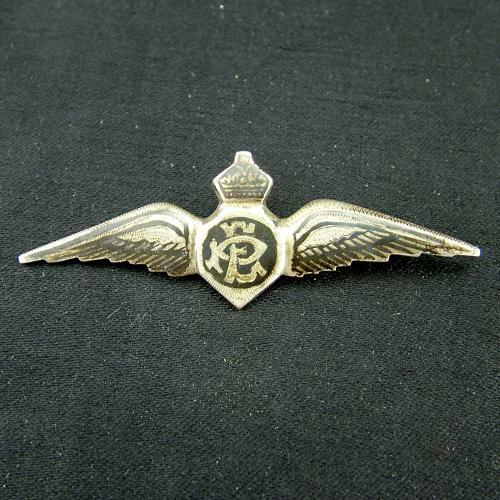 Handmade sweetheart badge in the form of a British pilot wing. Approximately 65mm span. Manufactured in white metal with black enamel type inlay and hand engraved feathering/marks. Pin backed and engraved to rear ' To Enid from Gordon, Iraq, 1943'. A lovely individual item. Stock code U23461.